Must pay online with credit or debit card. Shipments will be made each Saturday morning with the week's paid orders. Sizes are limited in quantity until sold out. 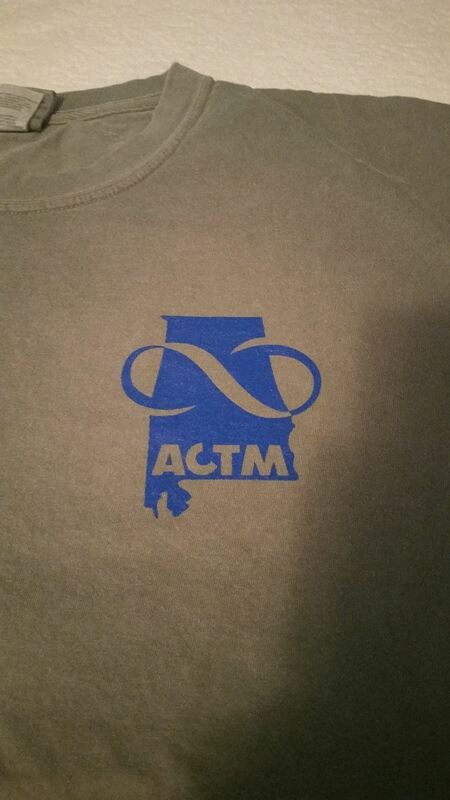 ACTM Comfort Colors T-Shirts sold at the fall forum, now available to be shipped to you. 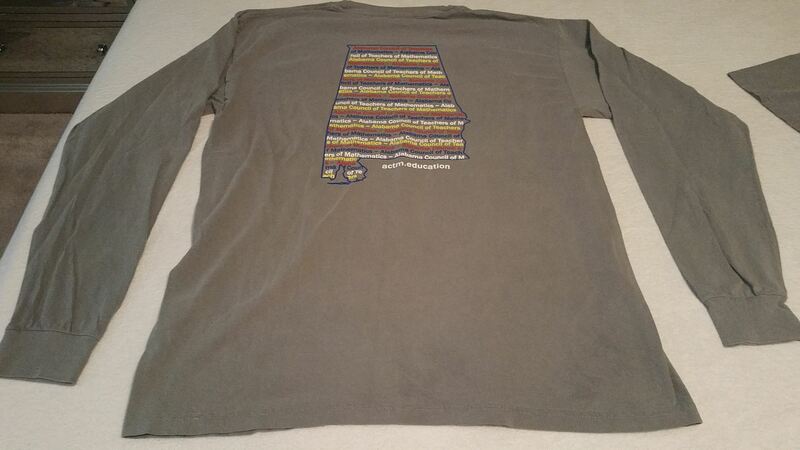 Short sleeve shirts are $13 plus $5 shipping, $16 plus $5 shipping for long sleeve shirts. 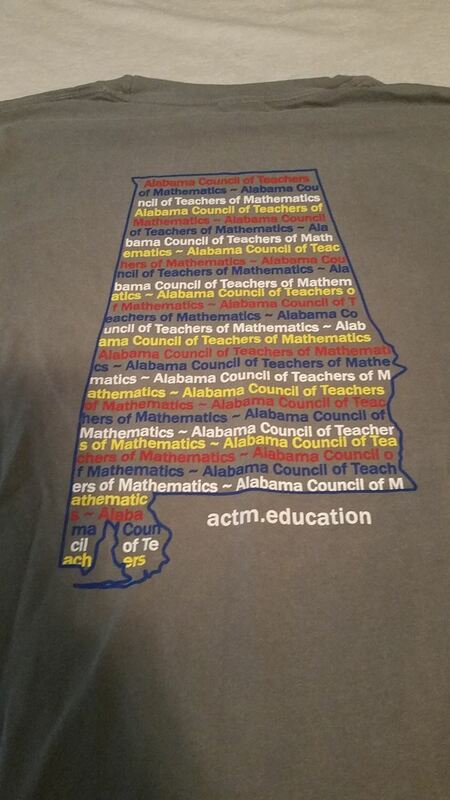 You may purchase multiple t-shirts. 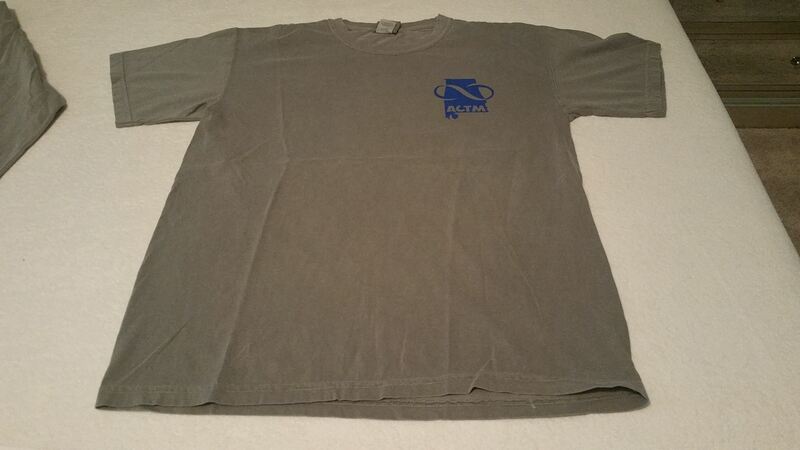 Pictures of T-shirts, front, back, logo1, logo2. We will be shipping all orders from the week on Saturday mornings. If you wish to have before Christmas, please order and pay by December 14. We will accept orders until shirts and sizes sell out. Limits have been placed on each size for what we have left.